Codementor Support - How do I select a long-term Codementor? All Categories ​>​ I&apos;m a User ​>​ Getting Help ​>​ Long-Term Mentorship ​>​ How do I select a long-term Codementor? 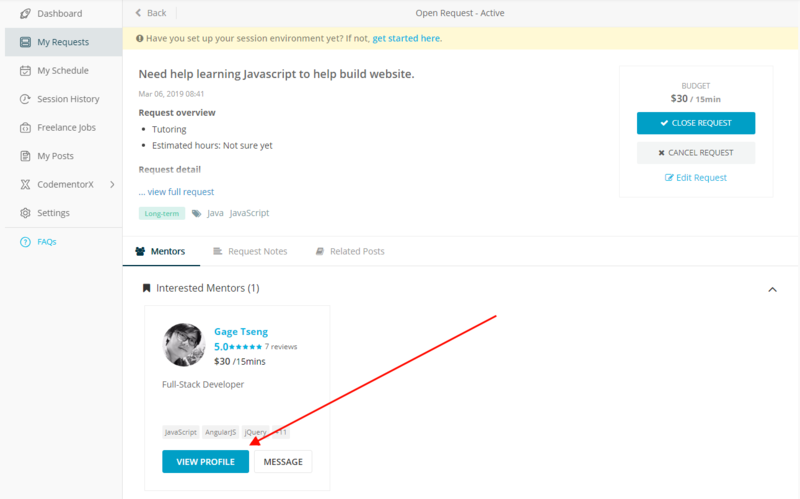 As you start seeing interested mentors in your long-term request, you can check mentors' reviews, session counts and expertise on their profiles. Message them directly to discuss your requirements. Try out a session and see if he/she is a good fit. How do I use credits on Codementor?